Florida boat owners: This blog contains the most valuable advice you’ll read before the 2018 hurricane season begins. Learn from the top hurricane claims of 2017. Protect your marine investment. And should history repeat itself and massive storms fill the forecast, know that you and your vessel are secure. According to Insurance Journal, hurricane claims were so high in 2017 that many major insurers issued profit loss warnings. For boat owners, this means plenty of damages were filed. There is a silver lining in this news. Irma and Harvey taught us all a valuable lesson: We must pay attention to the scope and depth of our marine coverage. Boat owners, your marine insurance policy is a vital element of your storm preparedness plan. Have you elected physical damage coverage, also known as hull coverage? If not, put it as number one on your hurricane preparedness priority list. Beware, boat owners who elect liability coverage only. High winds and flying debris from storms caused major damage to boats in 2017. If you opt to not purchase hull coverage, you may end up paying more to repair your vessel. Additionally, you will not have recompense for salvage expenses. This leads us to the next large hurricane claim category. Vessels submerged due to storm surge have to be recovered somehow, and many boat owners made a costly mistake in 2017. Though some followed the protocol outlined by their individual marine policies, others hastily signed contracts with marine salvage companies as soon as the storm dissipated. It’s understandable that they were eager to recover their boats as soon as possible, but this is a costly mistake. Salvage service is expensive, and providers need to be approved by your insurance carrier. If salvage services are necessary and time permits, check first with your insurer. Many policies allow for some reimbursement if you have your boat moved by professionals or haul out your vessel at a marina facility. This is called ‘hurricane haul-out protection,’ and it usually reimburses the insured 50% of expenses up to a specified limit. Hurricane haul-out coverage customarily goes into effect if NOAA issues a hurricane watch or warning for the location where the boat is being stored. Avoid the need for salvage altogether by accessing this benefit – and prepare that vessel for future inclement weather. Another great way to prepare for hurricane season is to check your named storm deductible (NSD). Many marine policies contain up to a 10% NSD derived from the vessel’s agreed value. Some even offer partial reimbursement if you implement a hurricane haul out plan to mitigate vessel damage. That proactivity means there will be no need for a hull damage claim – and you will save a significant amount of money. The two major takeaways from the 2017 Florida marine insurance claims list are to purchase adequate insurance and have a means to secure your vessel. Make a hurricane plan now for your vessel- and follow through with it. A Florida marine insurance agent with access to a variety of markets is the best advisor as you prepare for the 2018 hurricane season. We all hope that this year is quiet compared to the 2017 maelstrom. Florida boat owners should be prepared just in case. From our partners at International Marine Underwriters, this post originally appeared on their Company News page, authored by John Beachley, National Product Lines Director. Whether it’s a big commercial vessel or a small recreational boat, one should always have access to nautical charts on board. Not only that, but knowing how to read one of these charts is important while navigating the waters. Many may think that nautical charts are the same as maps, when in fact they are much different. Nautical charts specifically depict what a boater should look out for so they have a smooth and safe ride. In this BoatSafe.com article, the author discusses the basics of chart reading. It provides tips and insights with visuals of charts, and a real-life example of how to navigate the waters. Before you get out on the water this upcoming boating season, it’s always a good idea to review boating basics such as this one. For additional tips and articles, please visit imu.com. Is a journey to the land of epic cigars and gorgeous beaches on the horizon? If your ship’s log will soon include a Cuban voyage, we can help ensure you’re covered for the adventure. Our insurance company partners are currently evaluating applications and offering marine insurance quotes that include coverage if you are considering boating to Cuba. Start here! Fully paid premiums, with minimum earned and cancellation conditions. Additionally, the boat owner likely will incur the expense of a professional marine condition and valuation survey (while hauled). This includes compliance of survey recommendations prior to departure or binding. Coverage terms and conditions for Cuba navigation vary among insurance companies – and we’re staying abreast of all the changes. Have questions? Call us. 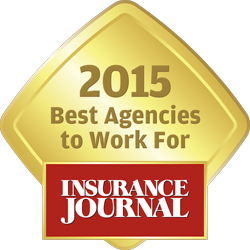 We’re here to help you with the emerging coverage details of this new category for the U.S. insurance industry. Florida boaters should be cautious before making plans to navigate to Cuba. On September 18, 2015, The U.S. Department of the Treasury released new rules surrounding U.S. travel to Cuba. The administration lifted the prohibition on boating to Cuba and Cuban waters. While the intrigue is enormous, Florida boaters should be cautious before making plans for such a Caribbean voyage. Although the U.S. government has liberalized the rules, there are many unique conditions that should be considered; political risk, crime, navigational limits available on current insurance policies, just to name a few. It is uncertain when insurance companies will offer this coverage to the recreational boater. In the meantime, boaters are reminded that property and liability coverage only applies to claims which occur within the navigational limits stated in the boater’s policy. Wallace Welch & Willingham will stay attuned to this situation and will continue to post updates. 1. Always wear a life jacket and insist that your crew and guests do the same. Approximately 77 percent of fatal boating accident victims drowned in 2013. (1) Almost 84 percent of those who drowned were not wearing a life jacket, and 8 out of every 10 boaters who drowned were on vessels less than 21 feet in length. Always have an adequate supply of life jackets aboard. Make sure that children are wearing appropriate life jackets that fit correctly. Drowning was the reported cause of death for approximately 36 percent of the children under the age of 13 who perished in boating accidents in 2013. In cold water areas, life jackets are even more important. Hypothermia is a significant risk factor for injury or even death while boating. Cold water accelerates the onset and progression of hypothermia since body heat can be lost 25 times faster in cold water than in cold air. Boaters can be at risk of hypothermia in warm waters as well, where expected time of survival can be as little as two hours in waters as warm at 60 – 70°F. To learn hypothermia risk factors and how to better your chances of survival, visit http://seagrant.umn.edu/coastal_communities/hypothermia. 2. Never drink alcohol while boating. Alcohol use was again the leading factor in all fatal boating accidents, and in 2013 contributed to 75 fatalities, 16% of recreational boating deaths. (1) Stay sharp on the water by leaving the alcohol on dry land. 3. Take a boating safety course. Only 13% of deaths occurred on boats where the operator had received boating safety instruction from a provider offering a course that meets U.S. Coast Guard-recognized national standards. (1) You may even qualify for a reduced insurance rate if you complete a safety course. Contact your local Coast Guard Auxiliary, U.S. Power Squadron chapter(2) or visit www.uscgboating.org for more information on courses in your area. 4. Stay in control by taking charge of your safety and that of your passengers. Boaters between the ages of 36 and 55 accounted for the highest percentage of boating fatalities (38%) and injuries (39%) than any age group in 2013. (1) With nearly 5,500 vessels involved in accidents in 2013, it is imperative to maintain control of your vessel and your passengers. Don’t forget that safety begins with you. and rules of navigation before taking to the water, and practice them without fail. To read the full article and see the rest of the list, Click Here.